Artie King may be new to Camelot Middle School, but he’s already made friends, ticked off Joe and his Horde, and fulfilled a prophecy that sort of makes him king of the school. Artie’s locker assignment sticks him with the one locker on campus that no one has ever been able to open. In fact, a prophecy has grown up around it: whoever gets the locker door open will thereafter rule the school. In need of a place to leave his books, Artie gives the combination a try — and the door opens easily. When lord-of-the-hallways Joe fails to replicate the feat, Artie’s fame, and Joe’s hatred, are fixed. 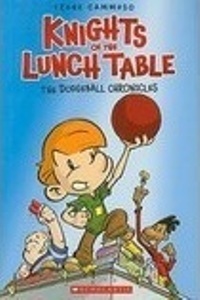 Artie’s new friend Percy has the perfect solution: Joe’s Horde and Artie’s newly-christened Knights of the Lunch Table will play one game of dodgeball. Whoever wins the game, wins the throne (figuratively speaking). Artie’s a shoo-in — assuming he actually has amazing dodgeball skills everyone thinks he does. And if he doesn’t? The Knights might be in more trouble than they thought. This first graphic novel in Cammuso’s Knights of the Lunch Table series introduces an impressive collection of references to the King Arthur legends in an accessible, relevant, and entertaining story. Artie’s knights are awkward middle schoolers eager to play their part in their friend’s accidental challenge to Camelot’s social order. Gwen(evere) abandons the sidelines to claim her own place in the saga – I can’t wait to see more of her in later books! Mr. Merlyn is an odd-but-wise teacher always ready with a bit of advice. And of course there’s Artie’s Excalibur – er, locker – available only to him, and mysteriously stocked with just the right thing at just the right time. Let the adventures begin! Find other reviews and learn more about the series as a whole at 100 Scope Notes, Guys Lit Wire, and Stacked. Play Dodge-a-Rama on the Graphix website. Both Tony and Maude were born a little different. He has webbed fingers; she has two tails. The latter, at least, seems like a good thing at first. Double-tailed merfolk have a tendency to make history. Unfortunately, the extra speed and agility that allows them to do so also makes Maude unpopular with the other merchildren — she’s way too fast to be any fun for games and races. Tony, too, has trouble with the other kids, who tease him relentlessly. Tony and Maude meet one another as fellow circus performers. Tony was turned over to the circus by his concerned and trusting parents, who hoped that the Ring Mistress was right when she told them Tony would be happier there. Maude was caught by a fisherman’s net, and sold to the circus for a mint. When neither act proves profitable, the Ring Mistress decides to recoup her losses by having the stage-frozen Tony train the despondent Maude. But Tony realises that he and Maude have a thing or two in common, and he devises a different plan entirely. The Melancholic Mermaid is its own kind of different. There’s the story, which brings together imagined mermaid lore, bullying, show business, and adventure. There’s the format, which crosses picture book with chapter book. And there are the pictures, which are full of sea colours and personality and just…wonderful. 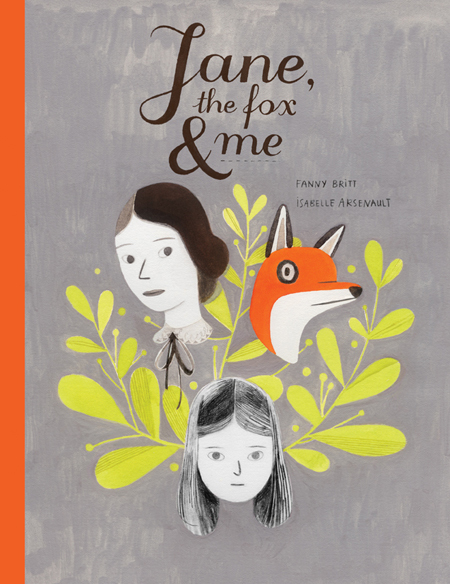 Because of the length, the story would be a great choice for a more confident reader who still loves lots of pictures, or as a read-aloud for a mixed-age group. Make sure to read to the end – the epilogue is the best part! Check out an interview with Kallie George and Abigail Halpin at Cynsations. This last For Young Writers post leaves advice (mostly) behind in favour of story. The writers described in these stories may approach the task with eagerness or doubt, teacher expectations, or a deep need of their own to write. What they have in common is a growing understanding of the potential of their own words. August Pullman looks different. Really different. Born with numerous facial abnormalities and in need of a string of surgeries in order to do simple things like eat, August has learned to ignore stares and gasps, secure in the support and protection of his family. Though he has been homeschooled so far, his parents decide that the first year of middle school might be a good time to consider trying out regular school. With the assurance that he can quit if he decides that he doesn’t like it, August agrees to begin grade five at Beecher Prep. August’s experience at Beecher is presented as an extreme, but not a special, case. Several characters acknowledge that middle school is a difficult time for many. The emphasis of the novel is not so much on how August gets through the year, however, or even on how he grows in facing the challenges of middle school. Instead, the story demonstrates repeatedly that finding ways to help one another — through kindness, encouragement, friendship, and, yes, perhaps a well-timed tackle — is one of the best ways to get through any sort of difficulty. Wonder is told through the eyes of several characters — August himself, his older sister, Olivia, and a couple of friends from each sibling’s school — offer new perspective on friendships, family relationships, and real and apparent betrayals. Though the tone of the novel is kept relatively light throughout, the narratives are genuine and full of understated insight, leaving readers to ponder the implications for themselves. While the ending felt too shiny and dreamlike to quite fit the rest of the novel, overall, Wonder is a rich and memorable story that explores people’s ability to be good to one another. 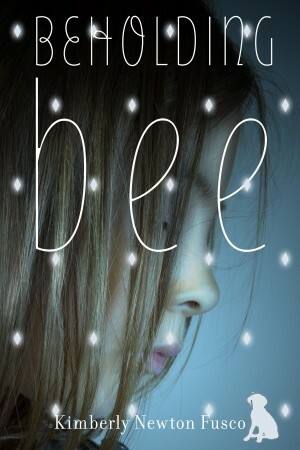 Recommended especially for readers who enjoy character-driven stories. 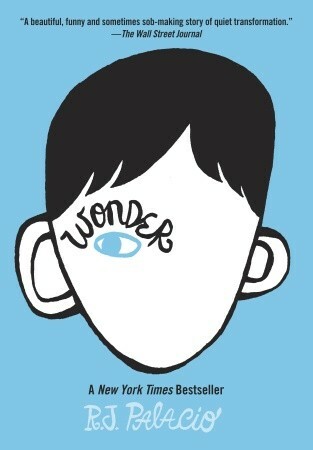 Find out what The Guardian, The Telegraph, and Quinn’s Book Nook had to say about Wonder. Read an interview with the author, or check out the first few chapters for yourself (click on the book cover)!